Repairing a damaged tooth with a dental crown isn’t just about improving its appearance, it also helps keep your mouth healthy. If you live in Edgewater, New Jersey, or the nearby communities, Young Kim, DDS, specializes in cosmetic dentistry at Mint Dental. Dr. Kim customizes a treatment plan that may include crowns, bridges, implants, onlays, and inlays to restore one tooth or several teeth. At her patient-centered practice, your oral health is Dr. Kim’s first priority. She creates a treatment plan to restore your teeth and your self-confidence. If you need a dental crown or bridge, call to schedule a consultation or book online. Dental crowns or “caps” are individual tooth-shaped coverings that restore a decayed or damaged tooth to its original shape and size. Most crowns are made from porcelain or ceramic because they’re the most natural-looking materials that closely match your surrounding teeth. Crowns protect and strengthen weak or damaged teeth that are otherwise irreparable with fillings or other types of dental restorations. Dr. Kim has more than 20 years of experience designing and placing dental crowns so they perform and appear just like your natural teeth. If you can benefit from a crown, she customizes a treatment to restore your smile so you can feel more confident, both aesthetically and functionally. Sometimes used in combination with full crowns, fixed dental bridges are permanent oral appliances that replace missing teeth. A fixed, traditional bridge consists of two crowns that fit over anchoring teeth — the abutments — and pontics, or artificial teeth, that fill the gap from missing teeth. Bridges are durable and become a permanent part of your mouth so you can eat, talk, and smile as if you still have all of your natural teeth. A bridge can replace one or more teeth and restore your natural bite pattern. Dr. Kim cements the bridge into place so you don’t have to worry about it moving around when you chew or talk. 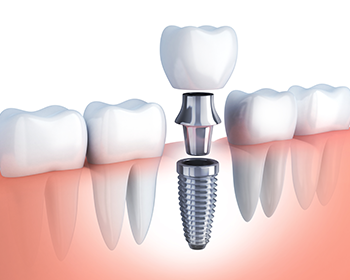 If you’re missing a tooth, or several, dental implants are the next best thing to your natural teeth. Because they become a permanent part of your mouth, implants allow you to eat your favorite foods, talk, and care for your teeth as you normally would. Dental implants consist of two parts: a root and a tooth. The root is a medical-grade titanium screw that Dr. Kim surgically implants into your jawbone. As it heals, it actually fuses with your jawbone and helps preserve its health. The crown becomes the visible tooth part of the implant. Dr. Kim custom designs the tooth to match the surrounding teeth as closely as possible. Dental implants look and function just like your natural teeth, and with Dr. Kim’s artistic eye for detail, your implant will blend seamlessly with your living teeth. Implants can improve your self-confidence so you aren’t self-conscious about sharing your smile with the world. Onlays and inlays are tooth-colored material, typically made from composite or porcelain. Dr. Kim uses inlays and onlays to restore a broken tooth, replace a large filling, or to strengthen a weak tooth. Onlays and inlays look like your natural teeth and blend in with the surrounding teeth. Dr. Kim cements your inlay or onlay to your tooth so it becomes a permanent part of the chewing surface or the outer layer of enamel. Onlays and inlays are a conservative approach to dental restorations and help you avoid future, more complicated dental procedures. If you have missing, decayed, or damaged teeth, find out how you can improve your oral health and restore your smile with custom-made crowns, bridges, implants, inlays, and onlays. Call the Edgewater, New Jersey, office or book online today.